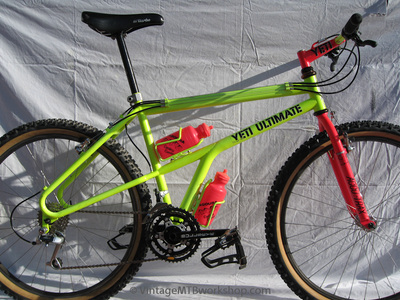 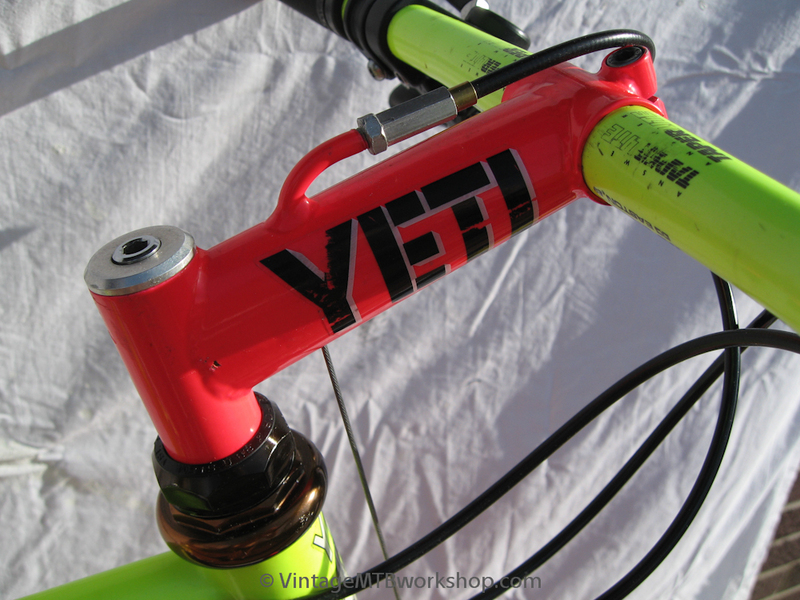 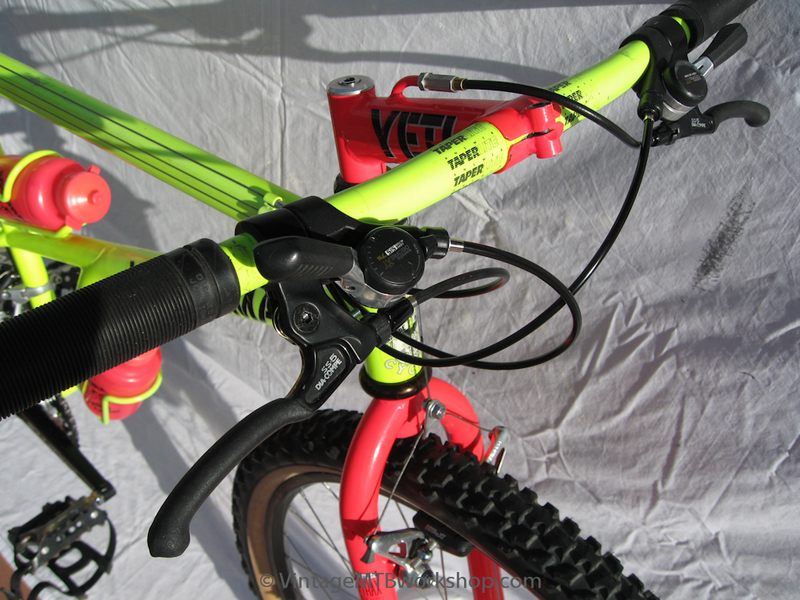 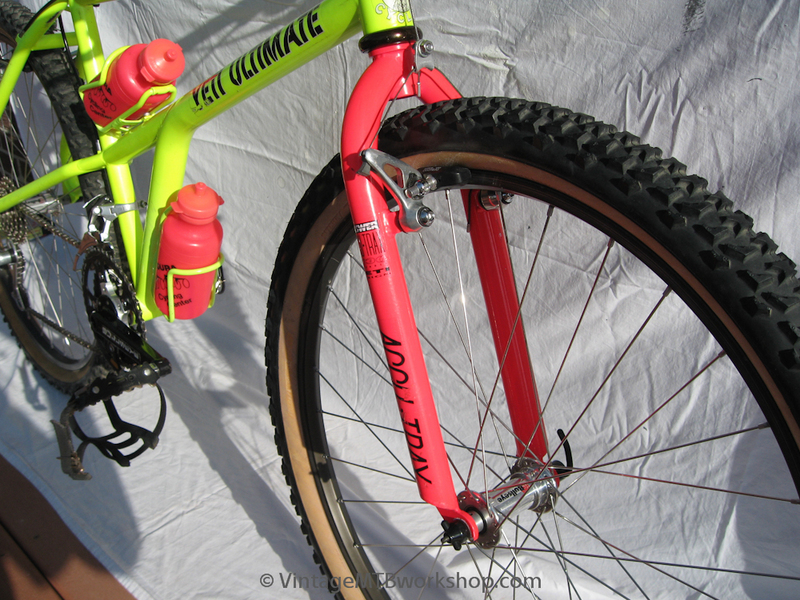 The Ultimate was born out of the two-part article in Mountain Bike Action in which Yeti Cycles was contracted to fabricate the "ultimate" frame with elevated chainstays and an over-sized headtube. 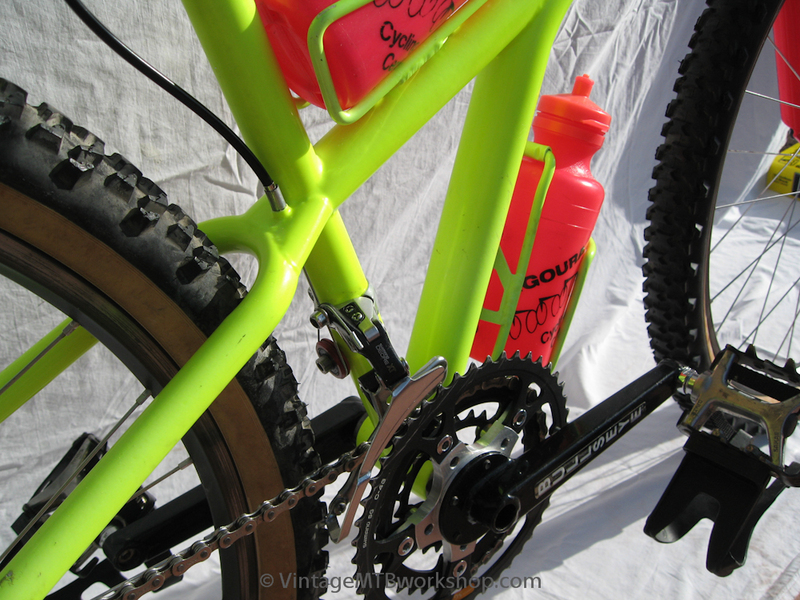 Weighing over 6 pounds as a frame and fork, the bike was no lightweight climber, but it was a stable descender that seemed to get better as things got faster. 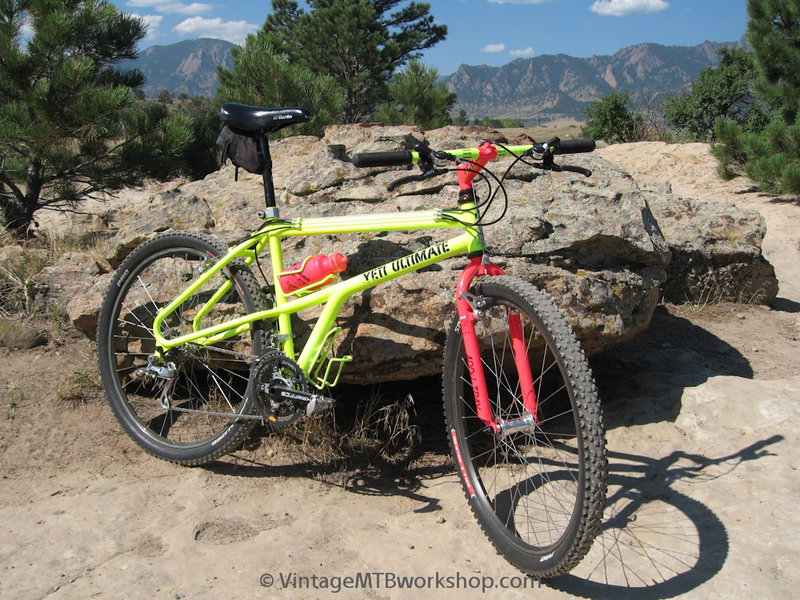 This frame was built in Agoura Hills, CA before the move to Durango. 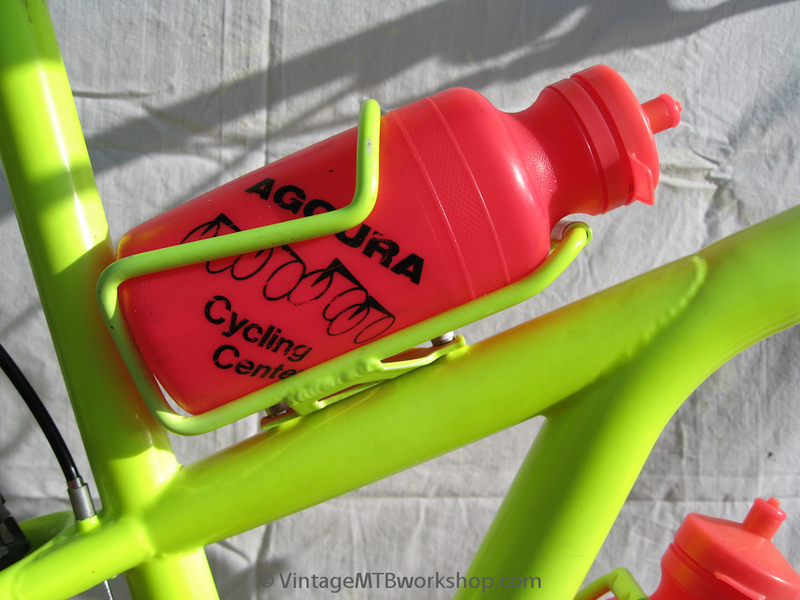 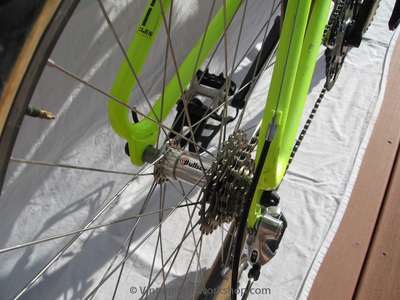 It features an eye-popping neon yellow and hot pink paint job with bottle cages and water bottles to match. 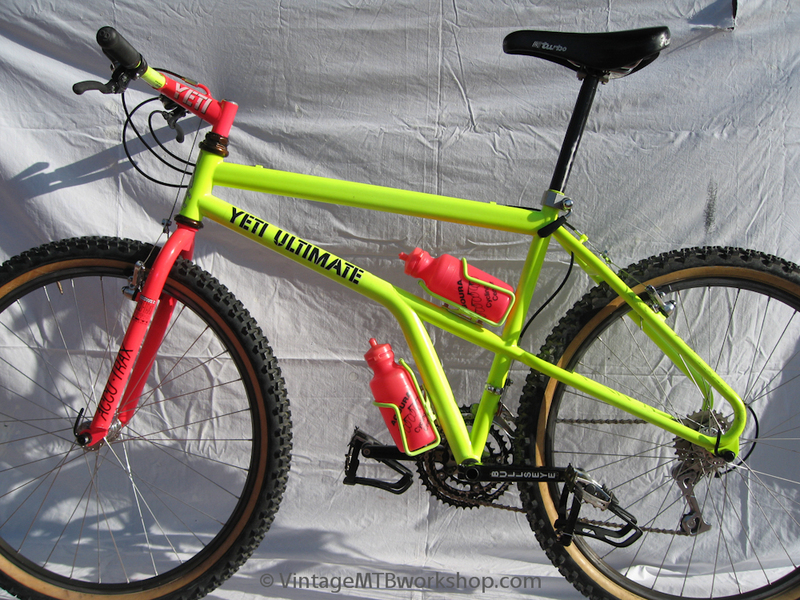 As a fashion statement, it screams mid-90s.